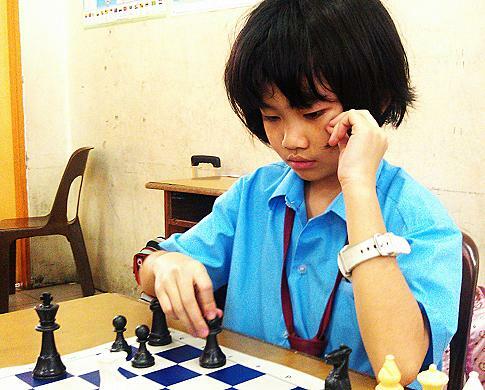 at the Kepong Junior Chess Open. Well done young man! Keep it up. 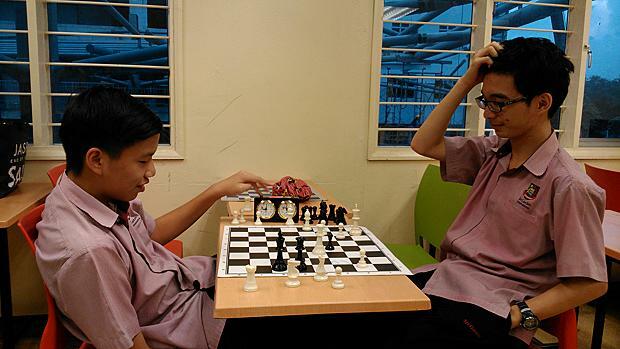 in the school prizes at the Kepong Junior Chess Open 2013. Regular Sunday Blitz training tournament in Cheras. 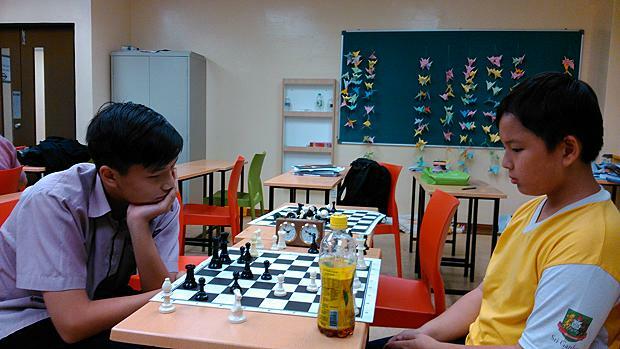 Camera-shy Hui Lim (left) playing against Lee Hin (right) . 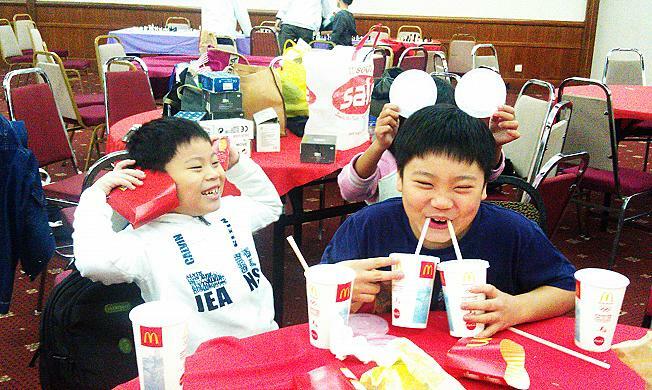 Jay Hin (right) seems to say, "How did this happen?" A tense position has arisen over the chessboard. 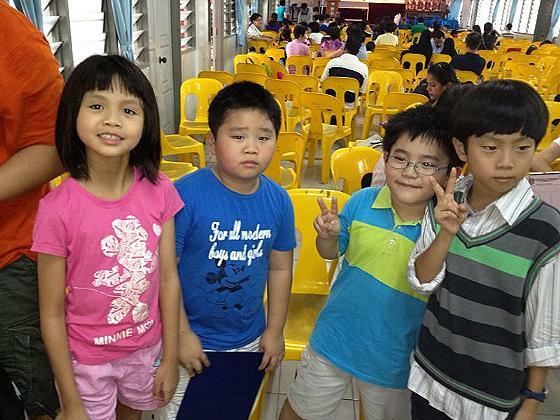 14th Chess Camp for children. The course has been designed to be fun and informative for absolute beginners right up to the aspiring tournament player. 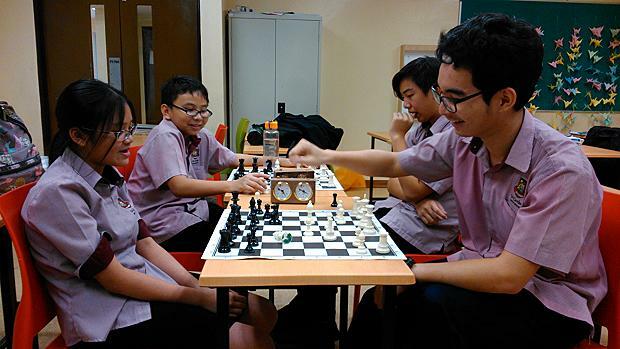 The Chess camp is headed by Fide Trainer & Candidate Master Collin Madhavan. He will be ably assisted by a team of very capable trainers plus guest Spanish-born Fide Trainer Alberto Muniz from Hong Kong. The closing date for submitting the forms is 10th of December 2013. Please note there are limited places for the Camp. So please sign up early so as to avoid disappointment. 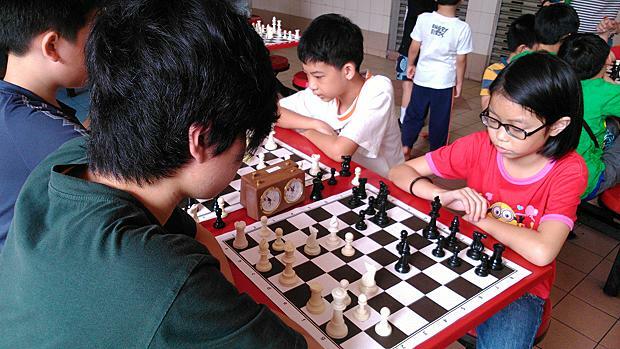 Some photos from our earlier Chess Camps are featured below. opponent, Rosamund, emerges champion in the girls under18 category. 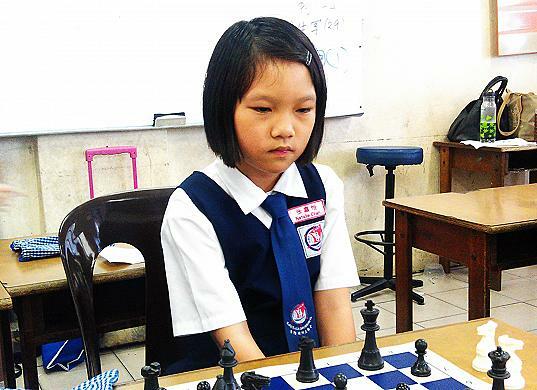 Zhi Tong (facing camera) wins the under-9 girls section. Arbiter Chong (standing on the right) is seen setting the clocks for the next round. The cool Aariz did not realise that the dress code was casual smart. He was the only boy in school uniform. Clap clap clap! Well done boy. Tara found something to smile about. She was winning her game. Daren holding back his tears as he is checkmated. Day & Time: Saturdays from January 2014 onwards. Area: In Taipan, Subang Jaya or Amcorp Mall, PJ. White to checkmate Black in 2 moves.